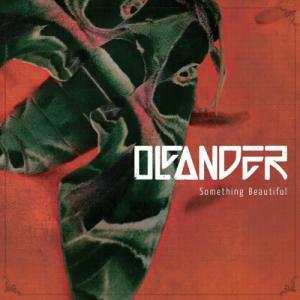 Tweet Its bands like Oleander that make me feel better about giving up on my dream of being a rock star. I don’t mean that as an insult to the band, I mean that as an insult to myself. Oleander is a band that you’ve all heard of, but most of you may only know one or two songs if any. They’re a band that’s put out quality music their whole career, had success, but with as hard as they worked they should have had much more. They took a bit of a hiatus in the mid 2000’s, but are back with a brand new album in 2013 called "Something Beautiful." It’s a great album and with the right support could break through on radio…but again it need s a chance to survive. The lead song on the album "Fight" is the perfect song for this band. Oleander is a band that keeps fighting the good fight. I’m rooting for them. The problem with the album is that there isn’t one track that stands above the rest. Again that sounds negative, but the album is that strong beginning to end. I guess "Fight" would be the stand out song, but even as I type that the song "Something Beautiful" starts to play on my iPhone. My favorite song is "Where Do We Go From Here" because lyrically it’s the one I relate to the most. Oleander has been doing this for years; I just hope the music industry finds away to reward them this time around. BYLINE: Bob Zerull is the Managing Editor of Zoiks! Online. He writes pop culture commentary, does interviews with bands, and reviews music and stand-up concerts. He also administers Zoiks! Online's Facebook page. Follow Bob on twitter at bzerull. Email Bob at bob@zoiksonline.com.